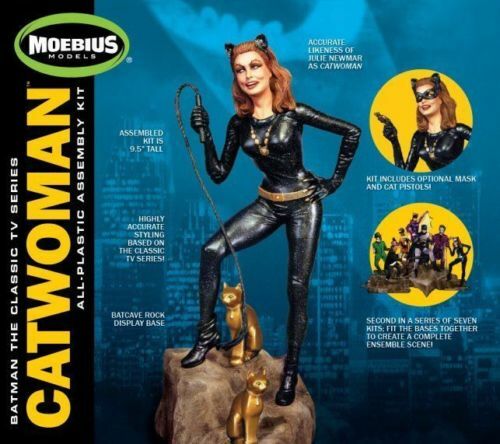 For the first time ever, Moebius Models offers a highly detailed styrene kit of the Cat Woman from Batman: The Classic TV Series! 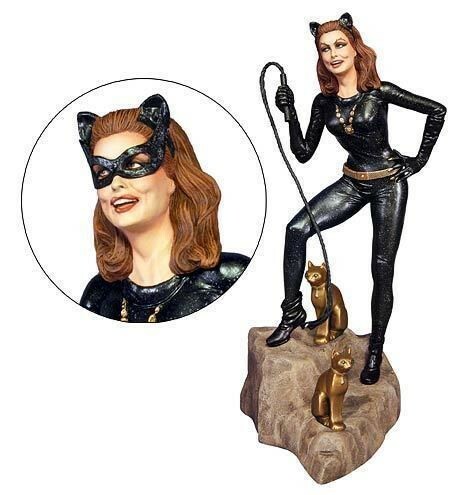 Features realistic likeness of Julie Newmar. Includes alternate parts for mask and whip or cat pistol. Completed kit is nearly 12" high kit #952.